Destroy Your Documents Securely – Call Today, Shred Tomorrow! Every individual and business generates confidential paperwork that needs to be destroyed, not simply thrown away. Get the help you need when you contact A1 DATASHRED. We have a variety of destruction services and we come to your location every time. Contact us for an appointment – we’re available Monday – Saturday. All you have to do to set up your on-site shredding service is give us a call. We’re happy to answer all your questions and help you select the service that’s right for you. On the same call, we will give you a quote that gives you all the costs in advance. From there, you simply set up an appointment for us to come to your location at a time that’s best for you. You deserve the confidence in knowing that your documents have been properly destroyed. We come to your Bellingham MA location with one of our industrial paper destruction trucks. Our uniformed technicians will transfer your private paperwork into our locking bins and then they will be moved to our truck. Our trucks shred 6,000 pounds of paper an hour, so your document destruction project won’t take long. You can watch every step of the shredding process on specialty screens situated on the side of the vehicle. You’ll have complete assurance that your documents have been destroyed completely and securely. One-Time Shredding – If your business needs to destroy company records, but you’re not sure how often, you can take advantage of our one-time service that is shredding on-demand. Simply call us for our purge service whenever you need it – and contact us again the next time you’re ready. Scheduled Shredding – Many businesses need document destruction on a regular basis. It’s also helpful to have a secure place to dispose and store business records until they are shredded. A1 DATASHRED can help. We provide locked containers for free, and employees should put all confidential papers in them. You can then schedule us to come to shred the documents on-site weekly, bi-weekly, or monthly and everything is automatic from there. Your personal papers hold a lot of information about you, and you can’t afford to simply throw them away. In fact, identity thieves gain a lot of their information simply by going through your trash. Instead, watch your personal documents be destroyed with our on-site residential shredding. We can come to your home whenever is convenient for you Monday to Friday and handle all of your document shredding needs. A computer hard drive is a great place for identity thieves to find information. Simply deleting the data isn’t enough. In order to be truly protected, you must physically destroy the hard drive. With on-site hard drive destruction, you can make sure that your business or personal data is truly unrecoverable. When we arrive at your location, there won’t be any question who has come to shred your documents. Our trucks are clearly marked and all employees wear uniforms and photo ID badges. All employees are highly trained and sign confidentiality agreements. When you work with A1 DATASHRED, you can have complete confidence. When you choose a document destruction company, you want to know you’ve chosen the highest quality and security available.  We’re proud to be a AAA Certified document destruction company with The National Association of Information Destruction. This means that we meet the highest and exceed the highest standards of security and professionalism for our clients. We take the utmost care with your documents and you can watch the shredding with your own eyes. We recycle all of the paper we shred. In fact, one ton of shredded paper can save 17 trees! When you choose our on-site service, you will have zero impact on landfills. That’s shredding to feel good about. Are you ready to get started? Contact us for an appointment today.